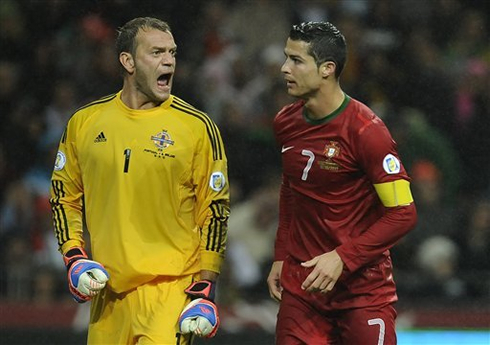 After falling to the hands of Russia last Friday, Portugal ended up conceding a 1-1 draw this Tuesday night, against Northern Ireland. Cristiano Ronaldo has been far from having a positive impact on the game, similarly to most of his teammates, who kept bumping against a well organized defense. 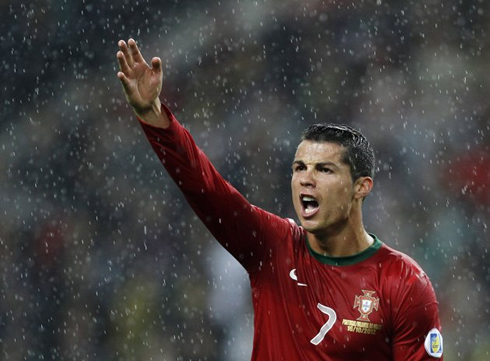 Portugal surprisingly dropped another 2 points on this rainy Tuesday night, after drawing 1-1 at home, against the Northern Ireland. McGinn gave the lead to the Irish side with half an hour played in the 1st half and they hanged on to that result until the last 10 minutes of the game. Hélder Postiga got the equalizer when Portugal was already pushing forward with everything they had, but failed to complete the "remontada". With this result, Portugal saw Israel clinching the 2nd position on Group F, behind the leading Russia, but in front of the Portuguese side, who now got dropped to the 3rd place. 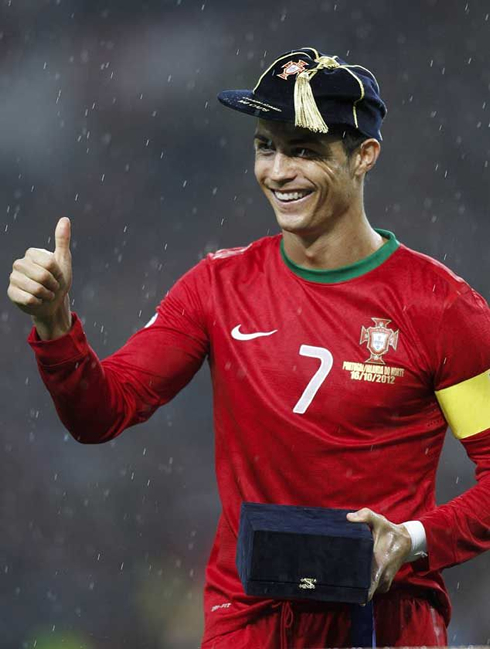 Cristiano Ronaldo still had a shot hitting the bar, but has never found an effective way to breach into Northern Ireland's defense, in order to be able to score so easily as he does for Real Madrid. 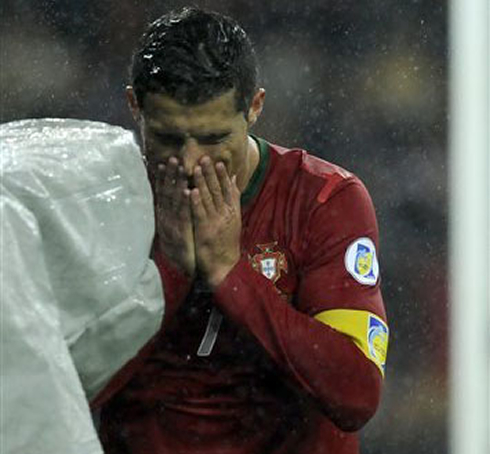 No one was predicting to see such a frustrating game from Portugal, despite the 1-0 loss occurred against Russia last Friday. Northern Ireland presented themselves at the Dragon Stadium in Porto with their traditional gamestyle, relying on their defensive organization and physical strength, as well as the long balls towards the attack whenever they needed to clean up plays. Portugal in the other hand, seem to have insisted in numerous crosses into Ireland's area, but saw most of those being easily cleared away by their opponents, as they never found a way to put them into trouble and against the ropes. Just like it happened against Russia in Moscow a few days ago, Portugal lost a ball on midfield and saw Northern Ireland quickly setting up a counter-attack, that ended up being poorly defended. Lafferty managed to draw most of the attentions to himself on the attack, creating space for his teammate Nial McGinn to come up from behind on the left and leaving João Pereira behind in a sprint. The Irish midfielder didn't waste his golden chance and put Northern Ireland one goal up against Portugal, shocking 50.000 people that attended the game on the Dragon stadium. Portugal wasn't exactly performing at their best before Ireland's opener, but being one goal behind certainly didn't help, as pressure started piling up on the Portuguese players. Portugal dominated the game and had a lot more ball possession than Northern Ireland, however, Paulo Bento's men always struggled to create clear cut chances that would have allowed them to hit the back of the net when the team most needed. Northern Ireland's lead lasted roughly until the 80th minute of the game, in a period where Portugal were already desperate to get the equalizer and bombing balls into their opponent's area. It has been precisely in one of those attempts that the equalizer arrived, after Zenit's center defender Bruno Alves made a long cross to the far post, meeting Éder's head, who had just came in from the bench minutes before. Éder headed the ball to his side, into a dangerous area right in front of Roy Carroll, where Nani had a first attempt to push it forward but only managed to deflect it. The ball would then reach Hélder Postiga, who turned around and striked it with his right foot, making it 1-1 and reviving Portugal's hopes in still getting the 3 points out of this match. However, there was nothing but frustration coming off from the last 10 minutes and once again, Portugal struggled to create a significant amount of goalscoring chances. The final whistle came and the Portuguese side came off the pitch with their heads down, certainly knowing that they should have done a lot better. With this draw, Portugal is now tied with Israel on Group F's 2nd place, with still 6 games left on this qualifying stage. Russia in the other hand, beat Azerbaijan at home by 1-0 and lead the group with 12 points after having won the 4 games they have played so far. We remind everyone that only the 1st place on each group will get through directly to the 2014 World Cup in Brazil. The best eight 2nd places (from 9 groups) will then qualify for a 2-games playoff stage, on which only 4 teams will be granted with a ticket for the World Cup 2014. As usual, Portugal seems fated to leave all decisions until the very last moment. Cristiano Ronaldo's is returning to Spain his next game for Real Madrid will be against Celta de Vigo, for the Spanish League 'La Liga', next Saturday (20-10-2012). You can watch Juventus live stream, Real Madrid vs Celta de Vigo, Deportivo vs Barcelona, Poland vs England and Tottenham vs Chelsea, all matches provided from our football live streams section.